This bright and spacious apartment is located in the old city center of Lisbon, close to the Tejo river, Bairro Alto & Chiado. Since it is well-equipped and centrally located, it will definitely provide you all the comfort and amenities needed for a great stay in our beautiful capital! Situated in Campo Pequeno, this spacious 3 bedroom apartment is charmingly decorated with contemporary and antique elements that illicit a unique and peculiar atmosphere to this exclusive space! 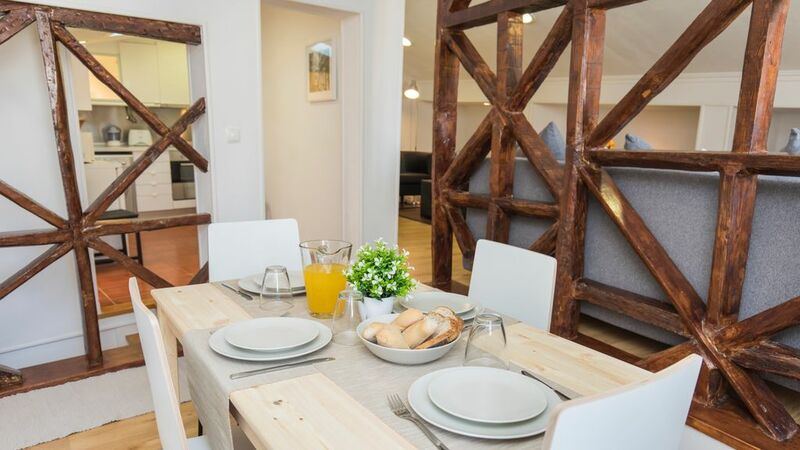 Perfect for up to 6 guests, the apartment is well-equipped and located in a very safe and calm neighborhood just 10 minutes by metro to downtown Lisbon. 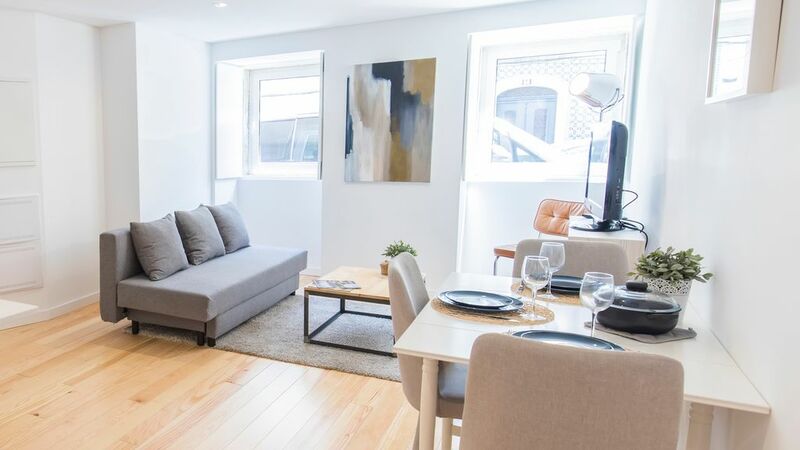 Located in Lapa - a residential area known for its great iconic church, the Basilica da Estrela, this apartment includes a lovely patio and is well-equipped and well-lit, making it perfect for your trip to Lisbon! Would you like to feel like a true "Lisboner"? Live in a historical, tranquil and artisan neighborhood close to the city center? If yes, then this apartment is the perfect pick for you! 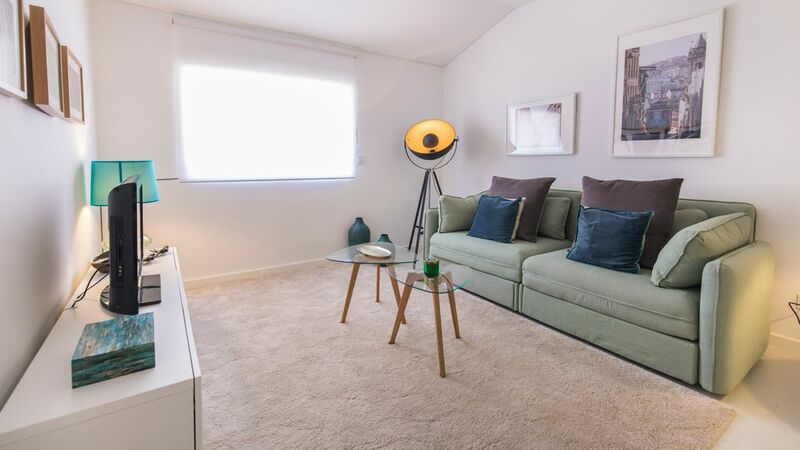 Our lovely 2 bedroom apartment for four will definitely provide you all the authenticity and comfort you're looking for! This modern one apartment is warm, luxurious and comfortable! 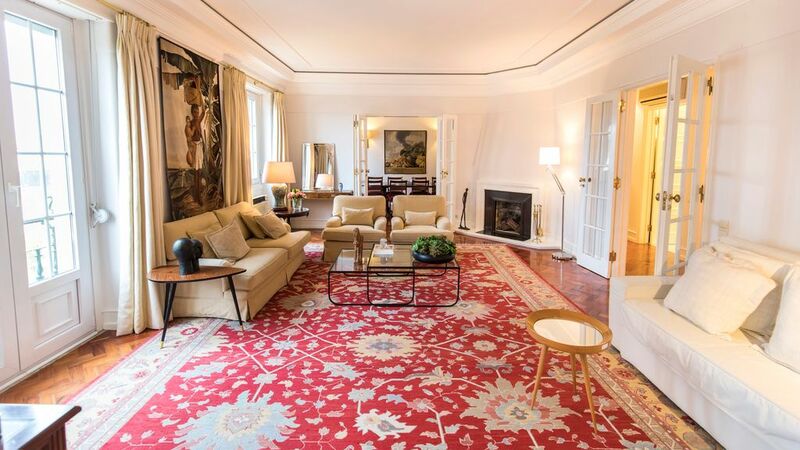 Located in one of the fanciest neighborhoods in Lisbon, near the Marquês Pombal Square, the apartment is close to all the primary modes of transportation, including the city tour buses! It can comfortably accommodate up to for people, making it perfect for families or groups traveling together! We are certain that your stay at our apartment will be both comfortable and memorable! 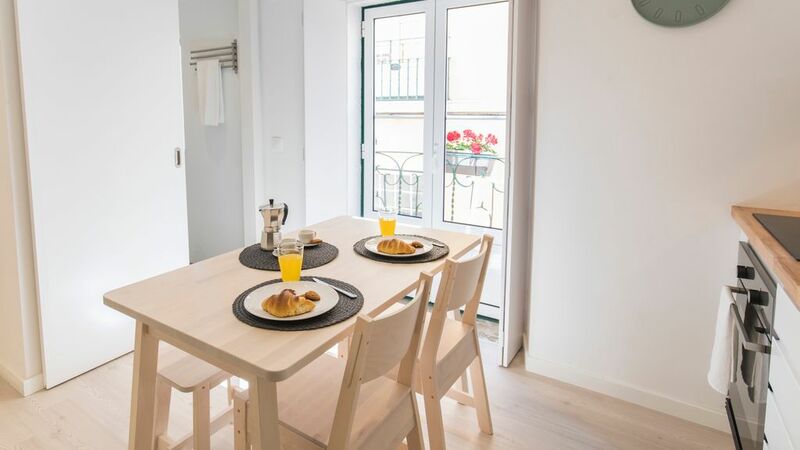 The 30m² Nest in Alfama is a charming little apartment that is ideal for couples traveling to our sunny city and hoping to stay in a historic and well-situated area! Recently renovated and well-equipped, we are certain that you will find all the comfort you may require during your stay in Lisbon while staying in the oldest district in the city! → 2 min away from the National Pantheon → 4 min away from the Military Museum → 6 min away from Santa Apolonia Metro Station Enjoy living close to the famous Pantheon on your next trip to Lisbon! Located in Principe Real, this apartment is situated on the 3rd floor of a residential building and is perfect for your trip to Lisbon! Charmingly decorated, it can accommodate up to 4 people and is well-equipped to ensure you have a comfortable and memorable stay in our sunny capital! We are certain that this lovely apartment will definitely provide you all the authenticity and comfort you're looking for! 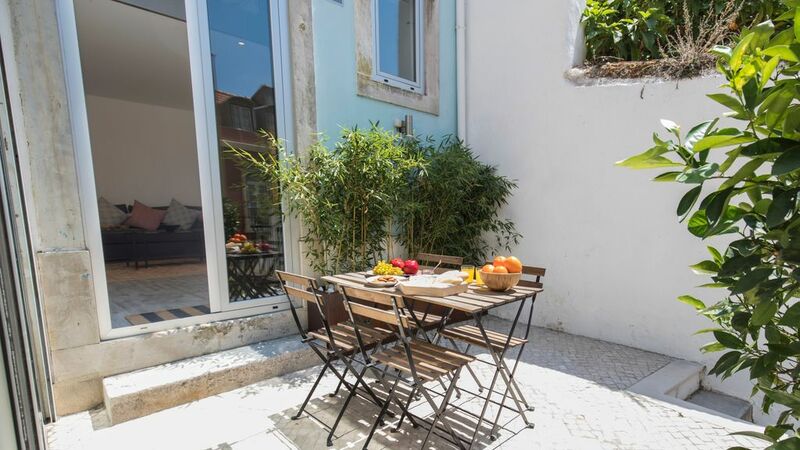 Situated in Principe Real, this one bedroom apartment with its patio is perfect for your trip to Lisbon! Our lovely bedroom apartment is perfect for families or groups of up to 4 people traveling together and will definitely provide you all the authenticity and comfort you're looking for! Only for LovelyStay awesome guests! Book in advance to get discount on tours and services! We have a great collection of Tours and Experiences, restaurantes and bars for your pleasure and confort. Check them out. It is really a fun experience to visit Lisbon on these two-wheelers, and incredibly easy too! We designed unique tours so you can discover and enjoy Lisbon the best way. We'll be waiting for you at the airport and take you straight home. Optylon Pocket Wifi rental service offers travelers reliable and unlimited 4G data roaming anywhere in Portugal. Nous avons passé 4 jours en famille dans l'appartement de LovelyStay. Il est idéalement placé pour découvrir Lisbonne et ses environs et le centre ville ancien se trouve à 10 minutes à pied! L'équipe est très réactive et toujours disponible pour répondre à vos besoins : ils avaient réservé un taxi pour mon frère et sa famille à leur arrivée. Encore merci pour à toute l’équipe pour l’accueil! Je vous recommande très chaleureusement , vous n'aurez aucune mauvaise surprise!!! This is one of best places I've stayed at in Lisboa! The location is near a lot of things. The loft is beautiful. What more could you ask for?!? Nous avons été accueillit bien chaleureusement par LovelyStay. Nous les remercions pour leur gentillesse, disponibilité et conseils avisés sur les visites à faire et les moyens de transports dans Lisbonne. D'autre part nous avons particulièrement apprécié l'appartement, la décoration a été étudié avec gout, (un savant mélange entre l'ancien, rétro et le moderne) l'appartement est neuf, très fonctionnel avec une très jolie vue sur le Tage. Amazing apartment at the very heart of Bairro Alto. All the amenities were there which made the stay more convenient. The check in process was super smooth (even if it was late! ), and LovelyStay even arranged a driver to pick us up at the airport. On top of that, the team was always very responsive in the message exchange. Amazing apartment in a very quiet and convenient location. I was very happy to stay at LovelyStay’s apartment with my wife. The view over the river is really cool, and the flat is very well maintained with nice decoration touch. All the amenities were there which made the stay more convenient. The check in process was super smooth, and the team was always very responsive in the message exchange. Thank you for hosting me, I would definitely come back to your flat next time I travel to Lisbon.